Europe’s largest arms manufacture BAE Systems has become the main sponsor of an under-performing school in the North West of England. 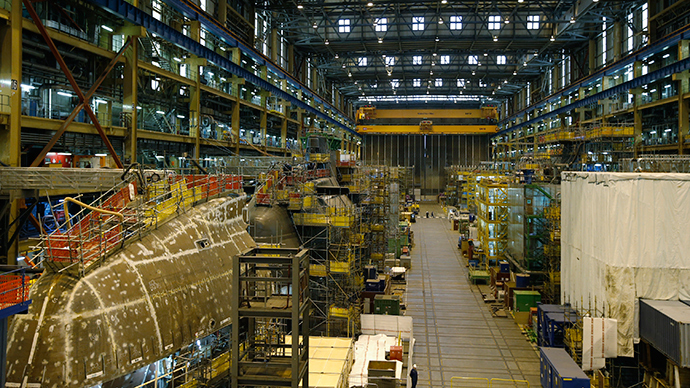 The arms company is responsible for the construction of nuclear submarines at its base in the town, which are used in the controversial Trident program. The firm had a £15.4 billion turnover in 2014. BAE has set up a trust to run the school under its submarine-building arm. Campaigners worry the move will have an impact on the curriculum. The arms company will be tasked with boosting the academy’s performance. The school has been in special measures since 2012, following a spate of poor Ofsted inspection results. The schools’ watchdog says improvements have been much too slow. BAE has not issued a comment on the agreement. Mallen Baker, a strategic advisor for corporate social responsibility, told Schools Week it was quite normal for local companies to invest in local education and, despite BAE’s arms dealings, the firm is simply investing in the future of the town. “Employers recognize that the quality of local recruits is influenced hugely by their quality of education,” he said. “Companies that invest in the local community will also get higher loyalty rates.